FORT WAYNE, Ind. (Reuters) - When General Motors Co engineers were developing the 2019 Chevrolet Silverado and GMC Sierra pickup trucks, some of them joined public tours of Ford Motor Co's Dearborn, Michigan factory to watch aluminum-bodied F-series trucks go down the assembly line. These pounds and penny-based decisions will have major implications in the highest stakes game going in Detroit: dominance in the world’s most profitable vehicle market, the petrol-fueled large pickup segment. 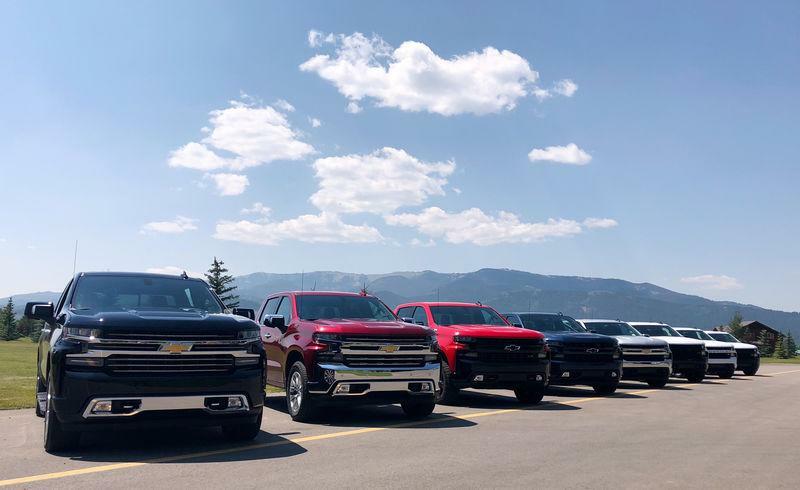 What's more, GM is banking on strong sales of overhauled 2019 Silverados and GMC Sierras to fund its push into automated, electric vehicles – a business many investors see as the auto industry’s long term future. Interviews with GM executives and a tour at its factory here in northwest Indiana provide a detailed look inside GM's plan for the most important vehicles in its global lineup. These big pickups are everything Tesla Inc's Model 3 or a Chevy Bolt electric car is not. The mostly steel body is bolted to the truck's steel frame, rather than the one-piece body and frame electric vehicles. The majority of trucks will have a V-8 gasoline engine in front powering the rear wheels – like the classic GM cars of the 1950s. Some Silverados will have new four-cylinder engines, but there is no electric or hybrid offering as of now. The new Silverado - GM's top-selling vehicle in the United States - is a technology achievement of a different kind. With the launch of GM’s new trucks, the rivals' technology strategies have diverged. Before GM's direction was clear, a supplier to Ford sent Reuss a box of the rivets his competitor was using to fasten the F-series aluminum body panels together, anticipating he’d be ordering them, too.